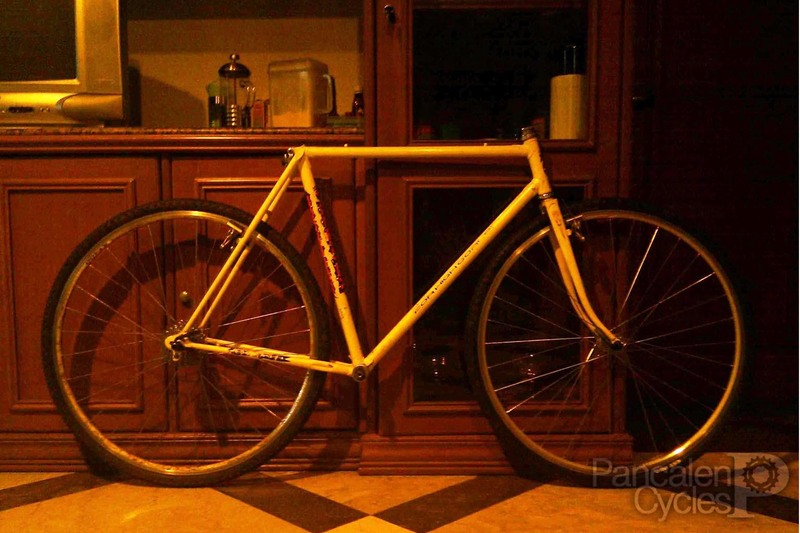 Back when I was still in junior high school, my dad let me ride his Raleigh road bike to school everyday. I can’t recall its exact model, all I remember is its British Racing Green colour. 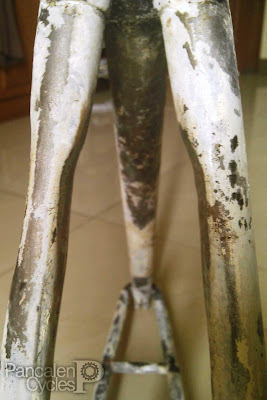 That’s the reason I call the Raleigh “Sir Green.” It was a blast for my ten kilometers daily commute, and I’ve become one of few kids in school that rode dropbar bicycles back then. My dad gave Sir Green to his colleague some time in the early 2000s, and I’ve lost track on it ever since. Fast forward to 2008, a good friend just gave me away an aluminium hardtail mountain bike frame. I then build it as a singlespeed, put on a child seat and use it to take my son for a couple of rides. Later on the bicycle was used to ride him to and from school. I repaint the frame to resemble my dad’s Raleigh, and turns out that my son loved this bike so much. He really enjoyed every time we spent on that bicycle. When we finally have to let this bicycle go, he cried for a couple of days. Around the same time, I caught the cyclocross bug. Although there was no cyclocross scene in Jakarta back in 2009, the reason why I built one is because it rides faster than a mountain bike while being able to be thrown around and hit potholes harder than a road bike. My first cyclocross rig was made from a mountain bike frame that was modified to fit 700c wheels. 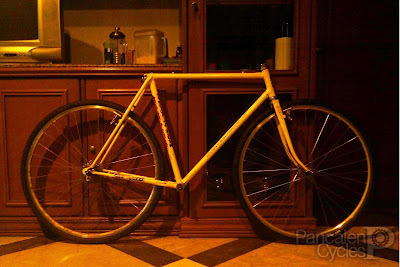 The Frankenstein bicycle then have to make way for a modified Suntour road frame, that was featured here some time ago. Last month, the good lads from Cicli Boom got an extra shipment from their supplier overseas for free. They decided to give me the extra frame (thanks, guys! ), shown on the first picture of this post. It was a custom built cyclocross frame, sized 55cm square (enough for my long inseam), with late ‘70s to early ‘80s details but no decals or whatsoever that indicates who the framebuilder was, although the lugs used and brazed joints are neat. The bottom bracket height is also somewhat low for a cyclocross frame. All we know that it was made in Belgium, the birthplace of cyclocross! That gives a bit of explanation of the 2,9kg weight of the frameset. While I’m at it, I decided to modify the steerer to accept threadless headset for its practicality. The clearance between chainstays was also improved a little bit. During the paint stripping process, my son asked me to repaint the frame with the colour of his choice. The colour was, you’ve guessed it, British Racing Green. I add a flair of xyralic yellow to match the gold anodized parts I’ve already had. My approach to bicycles that will undergo daily usage is reflected clearly on this built: if you want to experience the character of classic frames but don’t want to spend a fortune on period-correct components, build the frame with modern componentry. You’re going to use it daily anyway, and you don’t want to spend time on hunting replacement components in case of something goes wrong. There were no over-the-top brands here, just a mix of parts with mostly Shimano 105 components. The frame is using ISO/British threading on the bottom bracket, so moving out the components from my Suntour was a snap. I spend a couple of hours polishing this stem and dropbar taken from my Partenza. 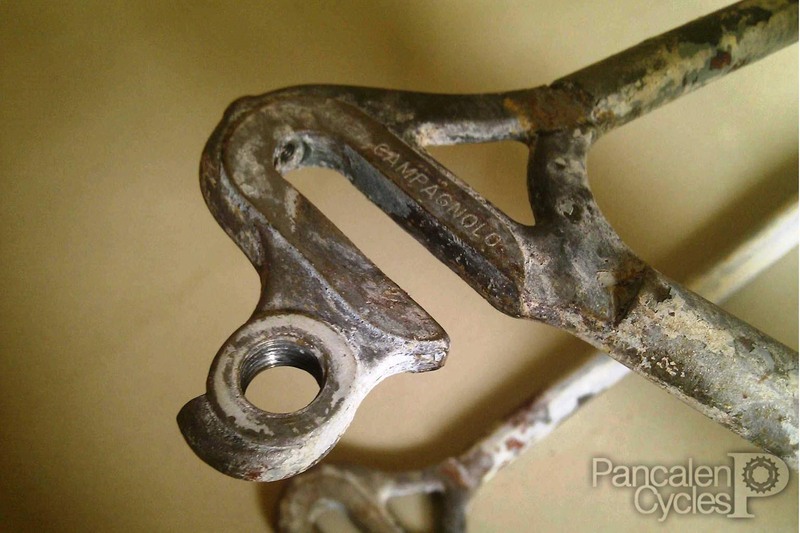 Shimano Saint SM-BB80 bottom bracket? Find out why and how, here. Shimano Tiagra 4500 rear hub, Deore M530 front hub, Alex AT400 rims.